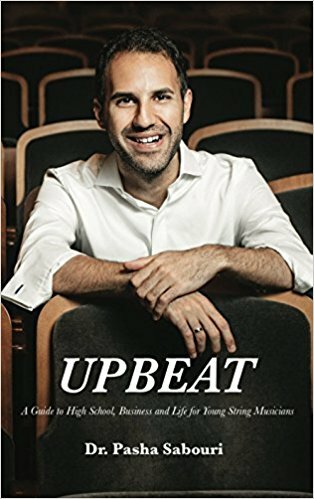 Black Violin has announced the release of ‘Upbeat: A Guide to High School, Business and Life for Young String Musicians‘ – a practical career advice book for young string players by American violinist and music educator, Dr Pasha Sabouri. The 157-page book provides practical advice for young musicians – including a guide for selecting the right music school, steps for auditioning and on how to make money playing during college, how to create a musicians’ resume – and real-world advice for managing a career and finances after college. “As a violinist growing up in a non musical family, we weren’t aware of all of the steps necessary in becoming a successful musician …” Dr Sabouri has told The Violin Channel. “I wanted to give students and parents a guide to not only help them prepare for auditions and their careers, but also to guide and navigate them through the many steps that have helped me … and the many things that I wish I had known about sooner,” he has said.